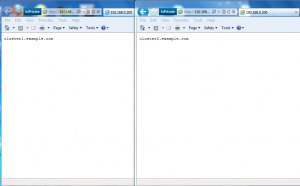 This is a tutorial to configure Apache Web Server Load Balancing in Linux using the mod_proxy_balancer module. So additional software isn’t required. This tutorial is written for Linux but this can also be applied to windows systems running Apache. This setup makes use of four computers. 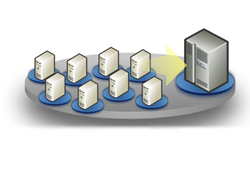 The first computer is the proxy load balancer, the second and third computers are the normal web servers which will respond to the requests and the fourth computer hosts the web content that is to be served by the web servers. The reason for separating the content is to make sure the same content is served by both the web servers. The fourth computer is optional, you can use tools like rsync to keep the content of both web servers synchronized, but that add up to network traffic. The number of web servers can be increased as per requirement. The Apache test page should be downloaded. At this step you cannot access other systems’ web server because firewall rules are not yet configured. Configure proper IP address settings on all the systems. Except the load balancer other systems have only eth0. After saving the files restart the network service. the ifconfig command will display the IP address of each adapter. After configuration ping each other systems’ 10.0.0.X (replace X with the appropriate number) IP address to see whether they are accessible. By default NFS is installed while installing Linux. So you just have to configure it. Create a directory that will host the web content. You can choose whether to allow other systems to have write access on this folder. If you the root user of the other systems have to write to this location use the option no_root_squash. Go to the browser and refresh it it will take a few seconds then it will display the hostname of only the server whose network interface is up. All this while did you notice that we keep seeing the hostnames of the web servers and not the load balancer or the storage server. This is because the load balancer is merely a proxy forwarding requests to the web servers and the storage server just hosts the CGI script so the actual execution of the secript takes place on the web servers. Another problem you might face is with the upload temp dir. The default is usually the /tmp directory. 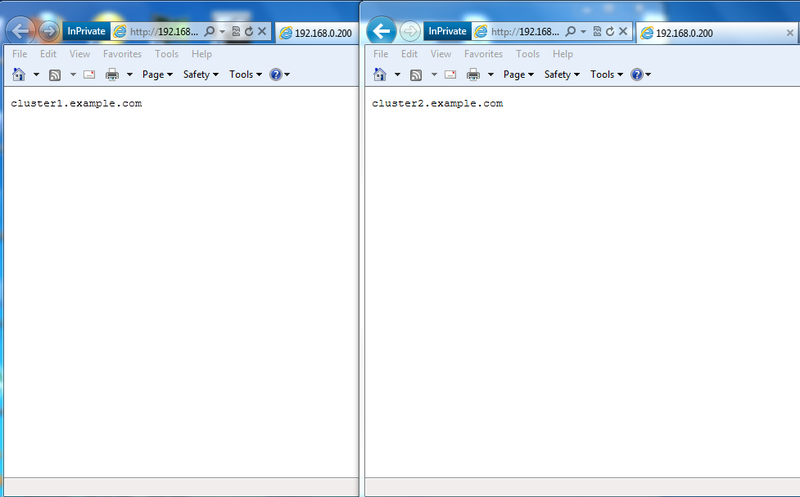 By editing the /etc/php.ini file you can change it to something else and mount that directory to the storage server.